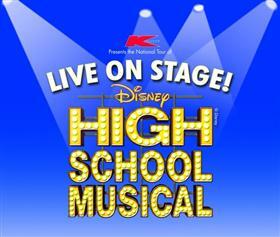 Really, High School Musical [the musical]? Unless you’re 12, High School Musical isn’t cool. Two made-for-TV movies, a made-for-(off)Broadway soundtrack and millions of screaming fans under the age of 14 haven’t put it at the top of most people’s bucket lists – but the stage show is a different story. It’s a musical based on a movie about a musical, which, as well as being meta, immediately puts those schmaltzy pop songs where they belong – on the stage, under the spotlights and accompanied by flips, high kicks and headspins. Where tracks like ‘What I’ve been Looking For’ or ‘Get’Cha Head in the Game’ may come off as over-produced chintz on TV (or god forbid, your stereo), polished choreography and stage costuming add a showtune sheen. The story itself is a well worn one: Basketball team captain Troy and A student Gabriella audition for the lead roles in their high school musical, fall in love, and in the process, unite the school’s jock and nerd cliques. There is some struggle along the way of course, but if you were afraid Gabriella’s arch-rival Sharpay would get the lead and hook the man, then you’ve obviously never seen West Side Story or Grease – both of which have more than a faint echo in High School Musical. For one, the pop rock score is stuff kids might well hear on MTV. And where West Side Story follows the romance of two teen gang members, and Grease ends with Sandy and Danny changing who they are to be together (if an outfit change can be construed as such), the moral of High School Musical is to be yourself and follow your dreams. Oh, and the two leads get to kiss once at the end, after a couple hours of innocent musical romping. It’s mom-approved stuff that has struck gold with the ‘tween’ market – kids between the ages of seven and 14 that make up the main demographic of Disney Channel, where the TV movies air. The original flick premiered to an incredible 7.7 million viewers in the US, while its sequel clocked up 17.2 million (High School Musical 3 was released in theaters). The latest Disney stats peg that first movie at a global estimated 255 million viewers. And the phenomenon is unstoppable, with a sprawling brand that includes a book series, video games, a reality show, and in Hong Kong, a High School Music Live! parade at Disneyland. Even China wants in, with a spin-off flick, High School Musical: China, currently in production. Meanwhile, the first live stage show was performed in 2007, and since has been put on by theatre troupes all over the world. Griffin’s High School Musical Live On Stage lands at Hong Kong’s Lyric Theatre next week, an adaptation of the first TV movie with most of the same songs, plus two new ones written for stage. “It wasn’t difficult to transfer [from movie to musical]. Contextually it’s set in the theater; it’s about two young kids who audition for the school show. They challenge and alter the status quo and bring about incredible joy in being on stage. It’s a very theatrical movie to start with,” Griffin says. The stage show treads the same plotline as the film, but here’s where the musical differs from the movie – the singers are actually, well, singers. Hearthrob to the under-12s Zac Efron plays Troy in the films, and he’s admitted to lip-synching to someone with a more capable set of vocal chords. His doppelganger in the musical, Max Milner, is a 19-year-old performer ingenue from London whose voice Griffin describes as a cross between pop and rock, and ‘fascinating’ to listen to. Staples are musical director Charl-Johan Lingenfelder and choreographer David Gouldie, who brings the story to life with an incredibly intricate set of dance numbers heavily influenced by street dancing and hip-hop. “It’s very, very heavy dance – one of heaviest I’ve ever worked on, and I spent four years on Cats for example,” says Griffin. Breakdancing is the core of many numbers, with backflips and acrobatics making this one of the most physically strenuous and visually impressive dance shows on stage. “There are couple songs that are really killers. The big basketball number, ‘Get’Cha Head in the Game’ – that’s a really tough number for the boys, because they’ve got to sing, dance and get used to coordinating with the basketballs,” Griffin says. In fact, the main cast is younger than average in the world of musicals, with the youngest, Milner/Troy, just 19, and the oldest topping out at an elderly 25. Then there’s the regimented eating, sleeping and training schedules, which don’t always go down well with Griffin’s young troupe of artistes. “It’s not very easy telling a 19 year old they need to sleep. The aim is that they get a good eight to nine hours. They’re dancing between eight and 10 hours a day,” he says. Cast members also have cardio training to get their stamina and fitness levels up to speed. Rehearsals start at 9am and go to 6pm, with full-cast sessions and one on ones with the principal actors. “It’s a very, very demanding show, and in general, we need three weeks to a month in pre-rehearsal for a run,” Griffin says. Griffin himself was a ‘triple threat’ at one point – a singing, dancing, acting performer whose chosen poison was musicals. He’s now better known for directing dramas, and has just opened a production of Evita, while wrapping up Waiting for Godot in London. While the stage version of High School Musical may not stray very far from its twee TV roots, it is coming of age tale told well on stage – and once in awhile, who doesn’t like being reminded that dreams are there to be fulfilled?